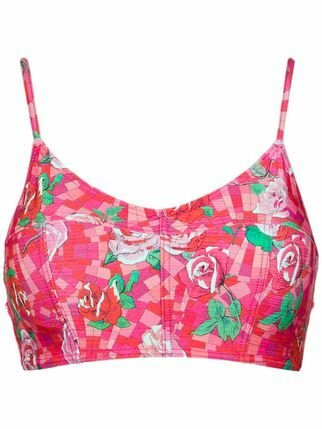 Shop for AMUSE SOCIETY Gladis Bikini Top in Rouge at REVOLVE. Free 2-3 day shipping and returns, 30 day price match guarantee. 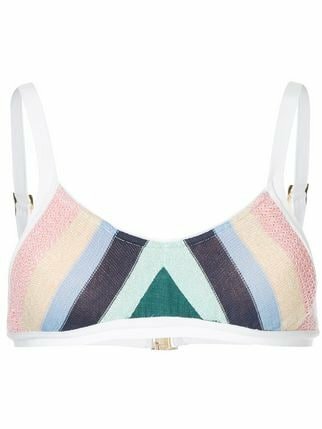 Multicolor Kailua bikini top from Lygia & Nanny featuring a triangle top, spaghetti straps, a ruffle trimming and a back tie fastening. This item fits small. Please note this item has a Brazilian cut. The innovative designer-duo behind DSQUARED2 continue to transfuse their quirky, eclectic attitude into the label’s swimwear collection. Signature bold prints and standout motifs are coupled with feminine silhouettes and high-quality fabrics. 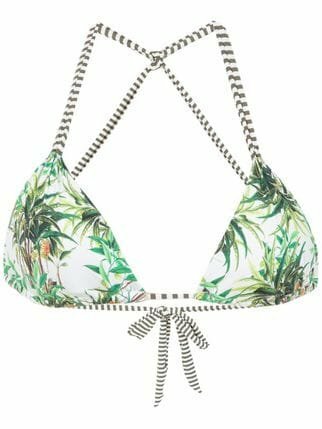 This red and white DSQ2 logo printed bikini top from DSQUARED2 features a triangle style, an adjustable fit and a back tie fastening. Swimwear must be tried on over your own garments. Black star print bikini top from love stories. Swimwear must be tried on over your own garments. 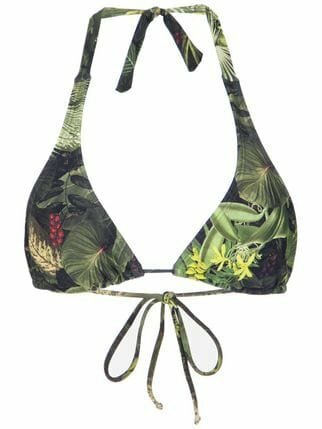 Green and white Frutos bikini top from TRACK & FIELD featuring an all-over print, back criss cross straps and a back lace up fastening. 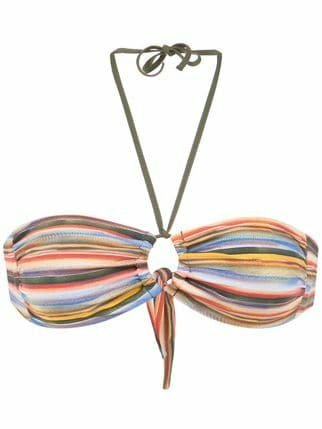 Multicolour Snake bandeau bikini top from TRACK & FIELD featuring a striped pattern and a back lace up fastening. 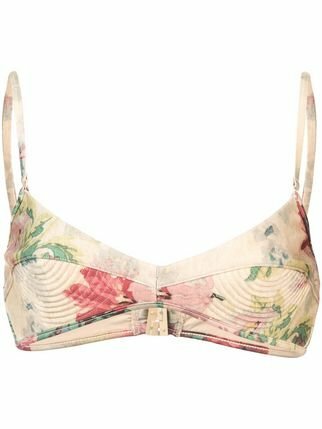 Multicolour cotton-blend Paradiso Scoop bikini top from SUBOO. Swimwear must be tried on over your own garments. 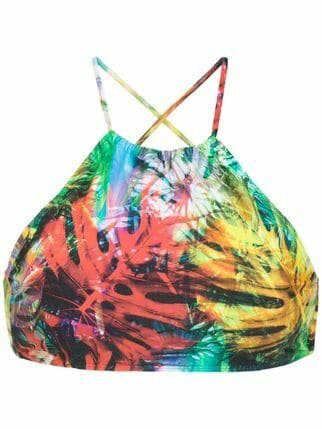 Multicoloured leopard print bikini top from SUBOO featuring a triangle style and a front tie fastening. Swimwear must be tried on over your own garments. 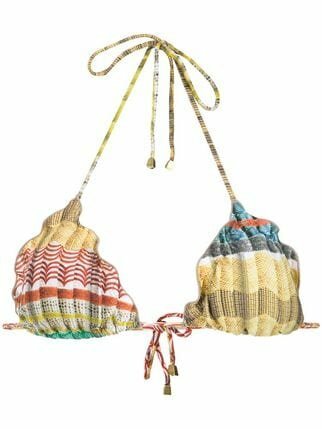 Multicoloured Lana bikini top from Lygia & Nanny featuring a straight neck, adjustable shoulder straps, a drawstring fastening and spaghetti straps. Swimwear must be tried on over your own garments. This item fits small. Please note this item has a Brazilian cut.